East Brother Island has a lighthouse. Now all they need is a lighthouse keeper. East Brother Island is looking for someone to run its lighthouse. Looking for a job? A tiny island in the North Bay needs some company. 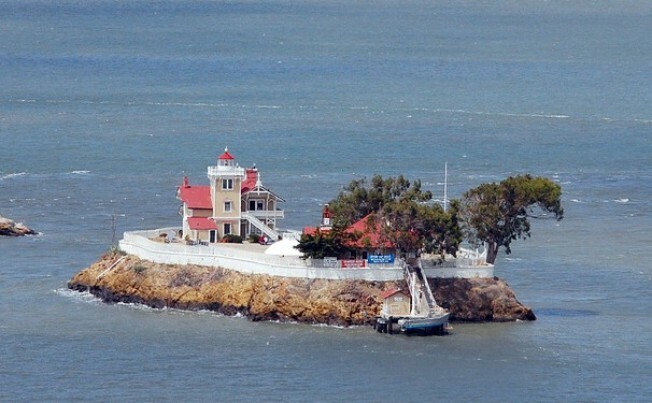 East Brother Island is a 1-acre platform in the San Pablo Bay. A sleepy destination, it features an inn, a foghorn, dazzling views of the mainland and a lighthouse. But what they don't have -- yet -- is someone to run the lighthouse after the current keepers leave in November. So as a result, the nonprofit that maintains the island is looking for a replacement. You must have a commercial boating license to qualify and you should probably be comfortable with solitude and limited amenities. East Brother Island has Internet access and electricity, but it doesn't have a water line; so all of the drinking water is collected from rain. The pay is $60,000 to $100,000 per year and duties include keeping the giant light in working order, managing guests at the inn, and ferrying guests. If you'd like to scope it out ahead of time, you'll need to make a reservation -- even for a visit of just a few hours. For a $20 ticket, you can get picked up by boat in Point Richmond, then returned about three hours later. There's only room for a couple of people on the island at a time. It's the sort of place that either sounds wonderfully remote or horribly lonely, depending on your tolerance for crowds. Worst comes to worst, you could always make friends with the seagulls.